Believe it or not, you have a tool that can strengthen your grip sitting in your room, and you probably use it for everything but grip training every single day. What’s this magic exercise implement? A towel. One of the most underutilized tools for challenging and building a stronger grip. More than likely, you’ve probably seen a towel used for pull-ups or other movement variations before, but have you ever tired structuring a workout around it? Grip is incredibly important in strength sports, as it’s relevant for literally almost every movement you perform in the gym (sans some leg movements). Training this limiting factor can be frustrating at times because the grip is a little more complicated than simply just grabbing an object and squeezing tight. Like everything else in the gym, we should approach grip with progressions, variations, and differences in intensities. In this article, we’ll discuss types of grip strength, muscles needed to strengthen grip, research that’s been done on types of towel exercises, benefits, towel variations, and provide a sample workout. Consider this your towel grip training handbook. Pinching — The use of the hand and fingers to produce a force that’s held outside of heavy forearm use. This is typically trained with things like plate pinches, which only include the thumb and fingers. Gripping — The combination of our hand’s grip and forearm to produce force. This is often trained with pulling movements. Crushing — The use of the hand and forearm to squeeze or crush something. This would resemble most grip training devices or grip specific machines. To create a sound and equal grip, it’s beneficial to train all three aspects. The “gripping” category is often the most important and most frequently trained element, but training the other two with purpose is equally as important. Also, a failing grip can be indicative of where you may be falling short in one of the three grip types. 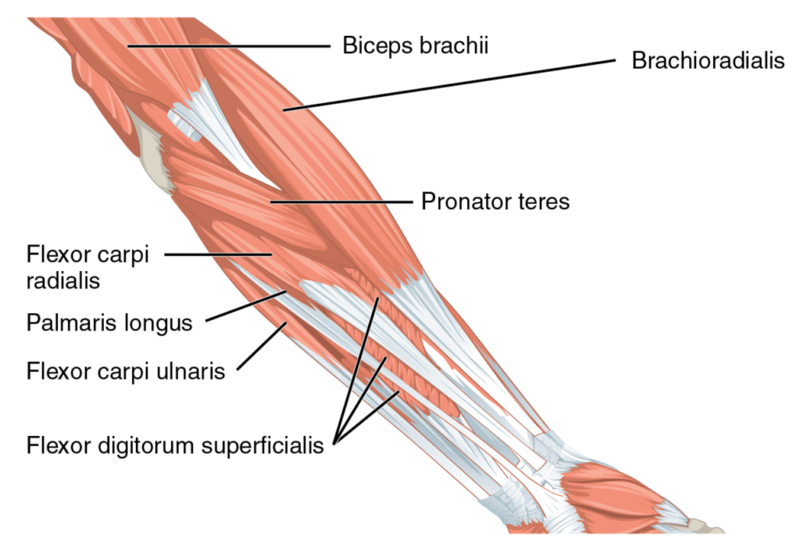 In reality, the upper arm’s muscles will be involved to some degree in grip training, too, especially in “gripping” movements, but for this article, we’ll cap the musculature to the forearm and below. Multiple muscles will be involved with gripping and they’ll be predominately the flexor muscles of the forearm, or the muscles that make your fist curl inwards. Since towel grip training involves primarily “crushing” and “gripping” a majority of the above muscles will be used to some degree throughout each of the variations. The degrees may change slightly depending on the angle in which the pulling/squeezing is happening, and how the towel is being used. Similar to the forearm, the hand muscles will be getting worked in pretty much every form of exercise that involves the grip in the gym. 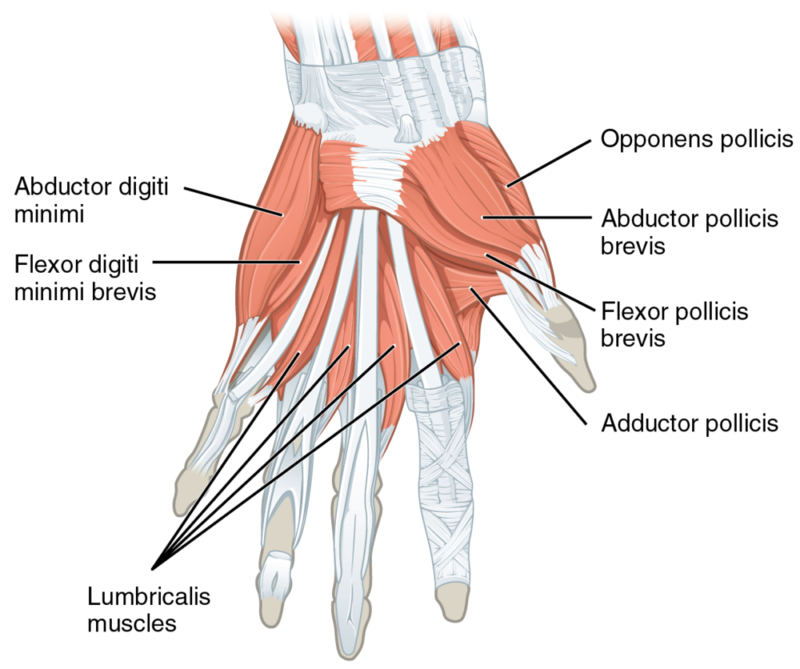 Below is a diagram that includes the muscles of the hand. For towel variations, the hand musculature is slightly more relevant because this workout implement involves a high degree of crushing strength to ensure we don’t lose our grip throughout movements, and the hand is remains in a state of producing a lot of force. Unsurprisingly, there hasn’t been a ton of research performed on towel exercise variations and the musculature they benefit. Although, this study from 2017 compared the standard pull-up, suspension device pull-up, and towel pull-up and differences in muscles worked between the three. In the study, researchers analyzed 15 healthy resistance trained men and women and had them perform 3-reps for every pull-up variation. To be included in the study, subjects had to be able to perform five consecutive bodyweight pull-ups, so they had prior pull-up experience. For the study, researchers analyzed the electromyography (EMG) of the latissimus dorsi, biceps brachii, mid-trapezius, and posterior deltoid. Researchers found that all of the variations facilitate similar effects on muscles analyzed. One difference they found was that the middle trapezius was slightly lower in the towel variation, but the latissimus dorsi was higher for towel pull-ups. When you consider the potential increase in range of motion for the towel pull-ups the higher activation makes sense. Unfortunately, this study didn’t look at grip EMG, but it was still cool seeing similar benefits for all of the variations, aka performing them here and there will not likely limit progress for bigger muscle groups if grip is your goal. A few of the benefits that come along with towel grip training are a little subjective, and every athlete may find that they benefit them for different reasons. Below are three of the bigger benefits to supplementing towels in your workouts to strengthen grip. Arguably the biggest benefit of using towels in exercises is that they heavily train two specific areas of grip. These two areas include “gripping”, which is standard with most pulling movements, and they also train an athlete’s “crushing” strength due to the forced squeezing of the towel to support one’s bodyweight and external weight. The last benefit is probably the most common sensical, but towels are great because they’re free to use and are a relatively safe way to challenge yourself. Most have access to towels in their gym and almost every type of strength athlete could benefit by challenging their grip here and there. 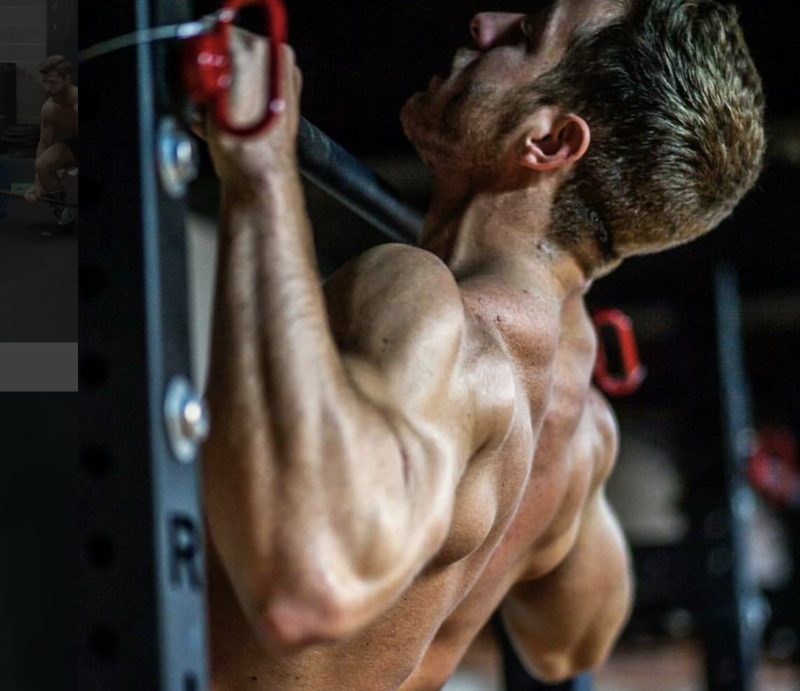 The biggest variation you’ll see used with a towel is the pull-up. This involves either a longer bath towel or two smaller hand towels. If you’re just beginning, or have smaller hands, then you may want to reach for the two smaller hand towels. Author’s Note: Make sure to grip the towel evenly on each side to ensure a balanced pull. You can also perform these with one towel. You can perform side-to-side pull-ups on a regular bar, but it can feel awkward at times, especially for those with shoulder injuries. One way to train this variation and test your grip is adding a towel, which can also help you increase your range of motion at the top. Towel hangs are an underutilized tool for grip-specific training, and they can be a great finisher after a long day of lifting. Similar to how you’d set up for a towel pull-up, you’ll hang either one or two towels from a rack, then instead of physically lifting yourself — simply grip and hang. There are a couple different ways you can train these, and below we’ve included a few of the variations. Standard holds for sets and time. Uneven holds where one side is higher than the other, which will cause slight additional flexion on one side (something a bar can’t do). Single-arm holds with light ground touching (since you’re training crushing as well), or completely hanging free. T-Bar rows are awesome for multiple reasons, mostly because they’re a great way to train the upper/mid-back while also teaching strong lifting postures. By adding a towel you can increase the range of motion for this movement, along with the amount of grip strength it requires. Plus, you can perform these with lighter weight and higher reps if you’re new to towel training and want the grip benefit. Author’s Note, to achieve better range of motion — reach for smaller plates! This movement will appear similar to your standard inverted row, but instead require you to use two hand towels as leverage to pull yourself up. One down side to this variation is that your range of motion will actually be slightly decreased due to the towels, although, it’s a good progression for training bodyweight movements with a towel. The workout below can be used as a finisher or additional grip-focused training day. If you have trouble performing any of the reps, sets, or movements, then try and scale back the intensity to progress accordingly. Outside of this towel-focused article, we’ve compiled a strong list of content to help you improve your grip. Below are four of our favorite BarBend articles that focus on building a stronger grip for every strength sport. Using towel training to improve your grip is a fun, challenging, and non-committal way to potentially improve your grip strength. The use of towels doesn’t require a full change in programming, which is an added perk they have to offer. In addition, the use of towels is free and virtually any athlete could benefit from their use.